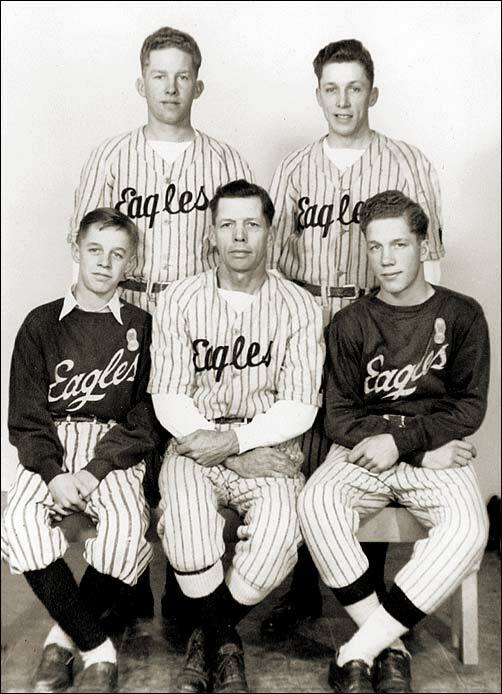 Walden "Bally" Rice (seated, centre) was a fixture in Southern Alberta baseball for many years. In later years he became the coach for teams which featured his four sons. Back row (left to right) : Wes Rice, Russ Rice.